The 61st Cherry Blossom Festival Contestants: (left-right) Misha Maletta, Hannah Tsunemoto, Whitney Shiroma, Stephanie Chiang, Eryn Kawamoto, Neysa Taba, Leila Mitsunaga, Lori Higashi, Kellene Sasano, Tiffany Hsu, Mychal Hatae, Shanna Nakamura, Crystine Ito, Ashley Higa, Chayne Toyama. Photo by Sean Nakamura.Honolulu, Hawai‘i – The 61st Cherry Blossom Festival unveiled yesterday its 15 Queen Contestants at an Opening Ceremony at The Villa at Aloha Tower Marketplace. This year's theme "Laulima," which translates to "many hands working together," was also announced. Click here to view more event photos on our Facebook page. Queen Contestants are selected for their dedication to perpetuating Japanese culture, commitment to education and passion for community service. More information about individual Queen Contestants can be found online at /contestants/. One contestant will be crowned the 61st Cherry Blossom Festival Queen during this year's Festival Ball on Saturday, March 30 at 5 p.m. at the Hawai‘i Convention Center. The Cherry Blossom Festival is one of the longest, continually running ethnic festivals in the State of Hawai‘i, which celebrates Japanese culture and heritage. Sponsored by the Honolulu Japanese Junior Chamber of Commerce, the 61st Cherry Blossom Festival spans from January to March 2013. Featured events include several community events open to the public, Golf Tournament, Contestant Reception and the highly-anticipated Festival Ball where a new Cherry Blossom Festival Queen and Court will be crowned. The Cherry Blossom Festival is sponsored by: Bank of Hawaii, Fujiyasu Kimono Company, Obun Hawaii Group, Watabe Wedding, Gyotaku Japanese Restaurant, Japan Airlines, Kyoya Company, Ltd, Pam Futa-Campbell, Shiseido, Island Insurance, Kirin Brewery of America, Marukai Wholesale Mart, Tori Richard, Gyotaku by Naoki, Images by Steven, JHM Productions, JTB Hawaii, and Servco Pacific. For more information about the Cherry Blossom Festival, visit our Facebook page at www.facebook.com/cbfhawaii or follow our Twitter account at www.twitter.com/cbfhi. Entries are being accepted for the 1st Annual Haiku Contest. Students in grades 3-12 who attend school in the state of Hawaii are eligible. Entries must contain an original haiku set within an original piece of artwork that depicts the poem and further exemplifies the contest theme: "Laulima: Bridging Hands Across Oceans." Completed application form with signatures of both student and parent/guardian. Original haiku and artwork – DO NOT INCLUDE YOUR NAME, TEACHER’S NAMES, OR SCHOOL NAME ANYWHERE ON OR WITHIN YOUR ENTRY. Awards will be given in three age categories: Grades 3-5, 6-8 & 9-12. The three first place winners and their work will be recognized at the 61th Cherry Blossom Festival Opening Ceremony in January 2013 as well as have their winning entries published on the Cherry Blossom Festival website and in the festival Souvenir Book. For more information, email Howard Chi at howard_chi@notes.k12.hi.us with any questions or concerns. Honolulu, Hawai‘i – This evening, the Honolulu Japanese Junior Chamber of Commerce and the Cherry Blossom Festival crowned the new 60th Cherry Blossom Queen and Court at its annual Festival Ball and coronation ceremony at the Hawai‘i Theatre. The Cherry Blossom Festival is one of the longest continually running festivals in the State of Hawai‘i, which celebrates Japanese culture and heritage. Cherry Blossom Festival Queen Contestants are selected for their dedication to perpetuating Japanese culture, commitment to education and passion for community service. This year’s festival theme, “Kizuna,” translates to “To Bond,” which represents the bonds and relationships created through the years that keep our festival together and strong. Queen, First Princess and three Princesses are selected by a panel of esteemed judges. Princesses are listed in alphabetical order. Miss Popularity is awarded to the Queen Contestant who has accumulated the most points by raised funds used to support the perpetuation of the Cherry Blossom Festival. Miss Congeniality is awarded to the Queen Contestant who has been selected by her peers as exemplifying the spirit of friendship. Proudly presenting the 60th Cherry Blossom Festival Queen and Court. 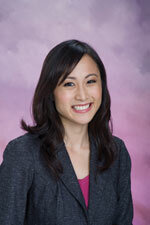 Erin is a 2005 graduate of Punahou School. She is the daughter of Gayle Morimoto and the late Colin Morimoto. 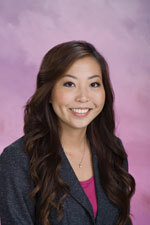 She has earned a bachelor of arts in Psychology with a minor in Marketing at the University of Southern California and a Master of Education in Teaching at the University of Hawaii at Manoa. She currently is a middle school language arts teacher. In 2002, Dr. Scott Oishi established the $5,000 Violet Niimi Oishi Scholarship in memory of his mother, the very first Cherry Blossom Festival Queen. In honor of Mrs. Oishi’s career as an educator, this $5,000 award is designated for the continued education of one Queen Contestant. The recipient was selected on the basis of her educational excellence, essay submission, and community service involvement. 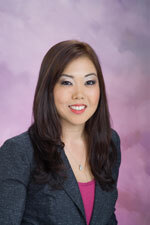 Cari is a 2004 graduate of Iolani School. She is the daughter of Gary and Candace Tasoe. She has earned a bachelor of arts in Psychology and Social Behavior at University of California Irvine and a Master of Educational Psychology at the University of Hawaii at Manoa. She currently is a Chapter Coordinator. Kristine Wada and Devon Nekoba served as mistress and master of ceremonies. The Festival Ball was opened with a taiko performance by the contestants followed by the Taiko Center of the Pacific. During the Western Phase, contestants delivered one-minute speeches in evening gowns. The Eastern Phase featured contestants wearing authentic furisode kimono flown in from Japan specifically for this event by Watabe Wedding Hawaii. The contestants also answered one impromptu question. The Cherry Blossom Festival is sponsored by: Bank of Hawaii, Fujiyasu Kimono Company, Japan Airlines, Shiseido Cosmetics America, Kyo-Ya Company, Obun Hawaii Group, Pamela Futa Campbell, Gyotaku Japanese Restaurant, Watabe Wedding Hawaii, Kirin Brewery of America, Tori Richard, Marukai Wholesale Mart, Island Insurance, JTB Hawaii, Gyotaku by Naoki, Images by Steven, JHM Productions, Servco Pacific. For more information about the Cherry Blossom Festival, visit www.cbfhawaii.com or call 808-949-2255. Visit our Facebook page at www.facebook.com/cbfhawaii or follow our Twitter account at www.twitter.com/cbfhi. The Cherry Blossom Festival holds the honor of being one of the longest, continually running ethnic festival in the State of Hawai‘i – originally started in 1953 by the founding fathers of the Honolulu Japanese Junior Chamber of Commerce. The Cherry Blossom Festival was created to celebrate Japanese culture and to enrich the lives of young Japanese-American women. The Festival also has an international reach, partnering each year to host five special sister chapters from Japan: Kobe, Odawara, Kurashiki, Kojima and Tamashima. Over the past 59 years the Cherry Blossom Festival has touched the lives of many, especially the 986 women it has called contestants. The Honolulu Japanese Junior Chamber of Commerce (HJJCC) first convened in 1949 with the mission of developing young Japanese-Americans into civic-minded citizens. The HJJCC aims to foster young leaders through professional development, community service, and the perpetuation of Japanese culture. The HJJCC sponsors many community events – including the well-known Cherry Blossom Festival – as well as offering its members numerous opportunities to develop leadership, managerial and organizational skills through participation in community service projects. The HJJCC also fosters business networking and socializing which allows members to establish life-long friendships. On Saturday, Feb. 11, the 60th Cherry Blossom Festival Queen Contestants made their first public appearance at the Windward Mall. The event opened up with a taiko performance by Somei Taiko followed by an appearance and opening speech by the 59th CBF Court. The 60th CBF Queen Contestants were then presented on the stage one-by-one and was each asked one question to answer to the audience. The questions were picked randomly and asked contestants a variety of general questions about various topics. Kahala Mall Public Appearance: Feb. 18 at noon. Ala Moana Shopping Center Public Appearance: March 3. at 3 p.m.
Pearlridge Shopping Center Public Appearance: March 10 at noon. For more information on other CBF events such as the Contestant Reception, Golf Tournament, and Fashion Show, please visit www.cbfhawaii.com/events. The Festival Ball will be on Saturday, March 31 at the Hawaii Theatre at 5 p.m. The Cherry Blossom Festival is one of the longest, continually running ethnic festivals in the State of Hawai‘i, which celebrates Japanese culture and heritage. Sponsored by the Honolulu Japanese Junior Chamber of Commerce, the 60th Cherry Blossom Festival will span from Jan. to March 2012. For the most up-to-date information on events and announcements, "like" Cherry Blossom Festival Hawaii on Facebook and follow us on twitter: @cbfhi. Honolulu, Hawai‘i – The 60th Cherry Blossom Festival unveiled today its 15 Queen Contestants at an Opening Ceremony at the Pagoda Hotel & Restaurant C’est Si Bon ballroom. This year’s theme “Kizuna,” translates to “To Bond,” was also announced at today’s ceremony. Queen Contestants are selected for their dedication to perpetuating Japanese culture, commitment to education and passion for community service. More information about individual Queen Contestants can be found online at www.cbfhawaii.com/contestants. One contestant will be crowned the 60th Cherry Blossom Festival Queen during Festival Ball at the Hawai‘i Theatre on March 31. Ticket information is available online at www.cbfhawaii.com/events. The Cherry Blossom Festival is one of the longest, continually running ethnic festivals in the State of Hawai‘i, which celebrates Japanese culture and heritage. Sponsored by the Honolulu Japanese Junior Chamber of Commerce, the 60th Cherry Blossom Festival will span from Jan. to March 2012. Featured events include several community events open to the public, Golf Tournament, Fashion Show, Contestant Reception and the highly-anticipated Festival Ball where a new Cherry Blossom Festival Queen and Court will be crowned. In 1953 Violet Tokei Niimi was crowned the very first Cherry Blossom Festival Queen. In 2001, her son, Dr. Scott Oishi established the Violet Niimi Oishi Scholarship in honor of his mothers fond memories of the Cherry Blossom Festival. Dr. Oishi and a committee of four judges will select one contestant to receive $5,000 to go toward continuing her education. The recipient will be selected based on her educational excellence, essay submission, character, and community service efforts. The recipient of the 11th Violet Niimi Oishi Scholarship will be announced on March 25. at the Festival Ball. Honolulu, Hawai‘i – This evening, the Honolulu Japanese Junior Chamber of Commerce and the Cherry Blossom Festival crowned the new 59th Cherry Blossom Queen and Court at its annual Festival Ball and coronation ceremony at the Hawai‘i Theatre. The Cherry Blossom Festival is one of the longest continually running festivals in the State of Hawai‘i, which celebrates Japanese culture and heritage. Cherry Blossom Festival Queen Contestants are selected for their dedication to perpetuating Japanese culture, commitment to education and passion for community service. This year’s festival theme, “Okage sama de,” often simply translated as “I am who I am because of you,” was a guiding principle for the Cherry Blossom Festival. Queen, First Princess and three Princesses are selected by a panel of esteemed judges. Princesses are listed in alphabetical order. Miss Popularity is awarded to the Queen Contestant who has accumulated the most points by raised funds used to support the perpetuation of the Cherry Blossom Festival. Miss Congeniality is awarded to the Queen Contestant who has been selected by her peers as exemplifying the spirit of friendship. Proudly presenting the 59th Cherry Blossom Festival Queen and Court. 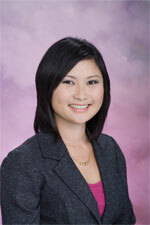 Jennifer is a 2002 graduate of Kailua High School. She is the daughter of Mona and Peter Sur. She has earned a Bachelor of Arts in Communications with a Minor in Speech and a Master of Arts in Speech from the University of Hawaii at Manoa. Jennifer is currently a speech lecturer. Janelle is a 2003 graduate of Roosevelt High School. She is the daughter of Lynn and Richard Ando Jr. She has earned a Bachelor of Science in Nursing with a minor in History and Business Law from the University of Portland. Janelle is currently a hospice and palliative care nurse. A united message of solidarity was extended to the people of Japan this evening. Guests at Festival Ball donned green ribbons bearing a miniature Japan flag. Symbolizing hope for Japan, these ribbons were thoughtfully handmade by the 59th Cherry Blossom Festival Queen Contestants with the support of Honolulu Japanese Junior Chamber of Commerce members and the Cherry Blossom Festival steering committee. The 58th Cherry Blossom Festival Queen and Court have collected origami cranes to send to the Tohoku region. In honor of the strong relationships with sister Junior Chamber International chapters in Kobe, Odawara, Kurashiki, Kojima and Tamashima, the Japan Cherry Blossom Association, our Japan sponsors, our Japan award donors, and the many individuals who have been affected by this natural disaster, the Honolulu Japanese Junior Chamber of Commerce and the Cherry Blossom Festival will be making a monetary donation to support the relief efforts. As a participating organization in the Aloha for Japan Committee, we have encouraged our guests to participate individually in the Japan relief efforts and have directed them to www.alohaforjapan.com. The Cherry Blossom Festival is sponsored by: Bank of Hawaii, Fujiyasu Kimono Company, Japan Airlines, Shiseido Cosmetics, Kyo-ya Company, LLC., Obun Hawaii Group, Pamela Futa Campbell, Gyotaku Japanese Restaurant, Watabe Wedding Hawaii Branch, Kirin Brewery of America LLC, Tori Richard, City and County of Honolulu, Hawaii Tourism Authority, Marukai Wholesale Mart, JTB Hawaii, Inc. Gyotaku by Naoki, Images by Steven, Island Insurance, JHM Productions, and Servco Pacific Inc.
Honolulu, Hawai‘i – The 59th Cherry Blossom Festival announces the calendar of events for its 15 Queen Contestants. Four public appearances will provide the public with an opportunity to meet the Queen Contestants. Five special events will allow ticket holders, primarily family and friends, a chance to interact with the Queen Contestants in a variety of settings. One well-deserving Contestants will be crowned the 59th Cherry Blossom Festival Queen during Festival Ball at the Hawai‘i Theatre on March 26, 2011. The public is welcome to all Festival events. Ticket information is available online at www.cbfhawaii.com. Public appearances provide the community a chance to learn more about the Cherry Blossom Festival, which perpetuates Japanese culture and heritage. Appearances also help contestants develop their public speaking, poise and leadership skills. Public appearances are free to the community. At all public appearances, Queen Contestants will wear special designs by Tori Richard – a recently re-instated sponsor of the Festival who used to provide clothing for contestants back in the 1950s. Kahala Mall Public Appearance, January 29, 2011, Noon – 1:30 p.m.
Queen Contestants will make their first public appearance at Kahala Mall, Center Court. Entertainment provided by Starr Kalahiki. Teri Okita from Hawaii News Now and Shayne Enright from KITV4 will emcee this event. Pearlridge Shopping Center – Uptown Public Appearance, February 12, 2011, Noon – 1:30 p.m.
Making their way to the leeward side of the island, the Queen Contestants will appear at Pearlridge Shopping Center – Uptown. Marisa Yamane from KHON2 will emcee this event. Windward Mall Public Appearance, February 19, 2011, Noon – 1:30 p.m. Taking a drive to the windward side, the Queen Contestants will continue to refine their public speaking skills. Devon Nekoba of 94.7 KUMU, former Honolulu Japanese Junior Chamber of Commerce President, will emcee this event. Ala Moana Center Public Appearance, March 5, 2011, Noon – 1:30 p.m. The largest and final public appearance at Ala Moana Center is always a 3-floor packed event with family and friends waving signs and cheering for their favorite Queen Contestant. Entertainment provided by the Taiko Center of the Pacific. Jill Kuramoto of KITV4 and Byron Furukawa of Hawaii News How will emcee this event. The five special events provide the Queen Contestants once-in-a-lifetime opportunities to participate in unique events. Special events also aim to develop the Queen Contestants ability to perform under pressure, interact with a diverse audience, converse in casual and formal settings, and foster friendships with each other. 59th Cherry Blossom Festival kicks off with an Opening Ceremony where Queen Contestants will be revealed to the public. This event officially signifies the start of the 59th Cherry Blossom Festival. Reverend Shuji Komogata of Soto Mission of Hawaii will perform the annual blessing of the Festival bringing peace, good health and blessings to all who are involved. 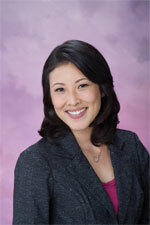 Olena Heu and Jai Cunningham from KHON2 will serve as mistress and master of ceremonies. An exciting Fashion Show provides Queen Contestants the opportunity to walk down a runway and experience the fast pace behind-the-scenes. The fashion show will feature local designer Tori Richard, and local boutiques Casablanca Bridal & Formals, Collins & 8th, Cottage by the Sea, Eden in Love and Fashionista’s Market. A silent auction will accompany the fashion show. Steve Uyehara and Tannya Joaquin of Hawaii News Now will emcee the fashion show. The Contestant Reception allows Queen Contestants to mingle and interact with family and friend in a casual environment. Food, dancing, music and raffle prizes entertain the crowd while Queen Contestants are able to relax and enjoy the evening. The Golf Tournament is formatted as a 3-person scramble with one hole-in-one opportunity for a $10,000 cash prize sponsored by JN Automotive Group. Following the tournament is a reception with team, individually and raffle prizes. A bento lunch from Gyotaku is provided for every golfer and drinks will be provided by Kirin. Course food will be provided by Aiea Manapua & Snacks. The highly anticipated Festival Ball will showcase the 15 Queen Contestants and will culminate 8-months of cultural classes and preparation. The evening begins with a taiko performance entitled “Sakura Daiko” choreographed and instructed by world-acclaimed musician Kenny Endo, and accompanied by members of the Taiko Center of the Pacific. Queen Contestants will deliver a 1-minute prepared speech during the Western phase wearing evening gowns sponsored by Casablanca Bridal & Formals. In the final Eastern phase, Queen Contestants will demonstrate their poise while wearing traditional furisode silk kimonos generously provided by Watabe Wedding. During this phase, Queen Contestants will answer one impromptu question. One well-deserving contestants will be crowned the 59th Cherry Blossom Festival Queen. One First Princess, three Princesses, one Miss Popularity and one Miss Congeniality will be selected. Stephanie Lum and Keahi Tucker of Hawaii News Now will serve as mistress and master of ceremonies. The Cherry Blossom Festival is also sponsored by: Bank of Hawaii, Fujiyasu Kimono Company, Japan Airlines, Shiseido Cosmetics, Kyo-ya Company, LLC., Obun Hawaii Group, Pamela Futa Campbell, Gyotaku Japanese Restaurant, Watabe Wedding Hawaii Branch, Kirin Brewery of America LLC, Tori Richard, Marukai Wholesale Mart, JTB Hawaii, Inc. Gyotaku by Naoki, Images by Steven, Island Insurance, JHM Productions, and Servco Pacific Inc.
Honolulu, Hawai‘i – After several months of anticipation, the 59th Cherry Blossom Festival unveiled today its 15 Queen Contestants at an Opening Ceremony at the Hyatt Regency Waikiki Beach Resort & Spa. This year’s theme “Okage Sama De,” which translates to “I Am Who I Am Because of You,” was also announced. One well-deserving Contestant will be crowned the 59th Cherry Blossom Festival Queen during Festival Ball at the Hawai‘i Theatre on March 26, 2011. Ticket information is available online at www.cbfhawaii.com/events. The Cherry Blossom Festival is one of the longest, continually running ethnic festivals in the State of Hawai‘i, which celebrates Japanese culture and heritage. Sponsored by the Honolulu Japanese Junior Chamber of Commerce, the 59th Cherry Blossom Festival will span from January to March 2011. Featured events include several community events open to the public, Golf Tournament, Fashion Show, Contestant Reception and the highly-anticipated Festival Ball where a new Cherry Blossom Festival Queen and Court will be crowned. In 1953 Violet Tokei Niimi was crowned the very first Cherry Blossom Festival Queen. In 2001, her son, Dr. Scott Oishi established the Violet Niimi Oishi Scholarship in honor of his mothers fond memories of the Cherry Blossom Festival. Dr. Oishi and a committee of four judges will select one contestant to receive $5,000 to go toward continuing her education. The recipient will be selected based on her educational excellence, essay submission, character, and community service efforts. The recipient of the 10th Violet Niimi Oishi Scholarship will be announced on March 26, 2011 at Festival Ball. The Cherry Blossom Festival is sponsored by: Bank of Hawaii, Fujiyasu Kimono Company, Japan Airlines, Shiseido Cosmetics, Kyo-ya Company, LLC., Obun Hawaii Group, Pamela Futa Campbell, Gyotaku Japanese Restaurant, Watabe Wedding Hawaii Branch, Kirin Brewery of America LLC, Tori Richard, Marukai Wholesale Mart, JTB Hawaii, Inc. Gyotaku by Naoki, Images by Steven, Island Insurance, JHM Productions, and Servco Pacific Inc.
Honolulu, Hawai‘i – The Cherry Blossom Festival announced today that the application deadline has been extended until August 16, 2010. Celebrating its 59th year, the Cherry Blossom Festival is seeking bright young women who cherish culture, education and community service. The annual Cherry Blossom Festival is one of the longest, continually running festival in the State of Hawai‘i, which celebrates Japanese culture and heritage. Queen contestant applications are available online at www.cbfhawaii.com. The 58th Cherry Blossom Festival Queen and Court were selected at Festival Ball held in March 2009 at Hawai‘i Theatre. Fourteen contestants performed an original taiko composition choreographed by taiko artist – Kenny Endo, delivered a 1-minute prepared speech on a topic of her choice, and demonstrated poise and grace while answering an impromptu question dressed in traditional furisode silk kimonos flown in from Japan. Contestants are commonly asked why they applied for the Cherry Blossom Festival, and answers vary from - meeting other young women with similar aspirations, developing public speaking skills, or for the cultural classes that are provided as part of each contestant’s semi-finalists award. 58th Cherry Blossom Festival Princess Cori Hanagami, medical student, remembers feeling relieved when she realized that others shared her apprehension about public speaking. The contestants supported each other to overcome their nervousness - building camaraderie and developing confidence on stage. Hanagami attributed the successful delivery of her speech at Festival Ball to the support from fellow contestants. As a teenager, Princess Kimberlee Young, investigator, suffered an ACL injury forcing her to wear a three-pound leg brace to play basketball. “In overcoming my injury I learned that challenges we encounter are only as big as we make them out to be,” said Young. Similarly, as a contestant, Young found balancing family, work, friends and the Cherry Blossom Festival commitments challenging at first – but developed and applied her time management skills to successfully complete each task at hand. Princess Kimberly Fujinaka, marketing coordinator, stressed that potential applicants aren’t expected to come with stacked resumes, and that the Festival provided opportunities for continued learning and personal growth. Fujinaka admitted that submitting her application was huge risk, but the first step towards an amazing opportunity. She was honored being selected as a contestant, and embraced the experience and new friendships. Fujinaka acknowledged the hundreds of past contestants and court members who return to support the Festival, and attributes this as a clear indication on how special this opportunity is. “If you’re interested in trying something new” said Queen and Miss Popularity Marissa Machida, law clerk, “then the Cherry Blossom Festival has something to offer you.” Machida reflected on the history of the Festival and the 58 years of tradition that she and the contestants are now a part of. She suggests that young Japanese-American woman apply, stressing that no other experience can replicate what the Cherry Blossom Festival can provide. Applicants must have at least 50 percent Japanese ancestry, be between the ages of 19 and 26 years old, single, a U.S. citizen and Hawai‘i resident. A completed registration form, proof of Japanese ancestry through a birth certificate and a $30 application fee is required. Visit the website for a complete list of eligibility requirements. Honolulu, Hawai‘i – The Honolulu Japanese Junior Chamber of Commerce announced today the contestant search for the 59th Cherry Blossom Festival – seeking bright young women who cherish culture, education and community service. The annual Cherry Blossom Festival is one of the longest, continually running festival in the State of Hawai‘i, which celebrates Japanese culture and heritage. Contestant applications are available online at www.cbfhawaii.com and will be accepted until August 2, 2010. Sponsored by the Honolulu Japanese Junior Chamber of Commerce, the 59th Cherry Blossom Festival will span from January to April 2011, featuring several community events open to the public including: contestant appearances across Oahu, golf tournament, fashion show and contestant reception, and the highly-anticipated Festival Ball in March 2011 at which time a new Cherry Blossom Festival Queen and Court will be crowned. Additionally, for the tenth year in a row, one of the contestants will be awarded the annual Violet Niimi Oishi Scholarship Award – to be used toward continuing her education. Established in honor of the very first Cherry Blossom Festival Queen, by her son Dr. Scott Oishi – this award is given to the contestant who demonstrates exemplary community service involvement. In January 2011, the 59th Cherry Blossom Festival Queen contestants will be announced to the public. In the months leading up to the Festival, contestants will take classes in Japanese culture and heritage, develop their public speaking and leadership skills, and participate in community service projects. After being crowned, the Cherry Blossom Festival Queen and Court are actively involved in the community, and promote and perpetuate Japanese-American heritage by participating in cultural events across the state. Applicants must have at least 50 percent Japanese ancestry, be between the ages of 19 and 26 years old, single, a U.S. citizen and Hawai‘i resident. A completed registration form, proof of Japanese ancestry through a birth certificate and a $30 application fee is required. Honolulu, Hawai‘i – This evening, the Honolulu Japanese Junior Chamber of Commerce crowned the new 58th Cherry Blossom Queen and Court at its annual festival ball and coronation ceremony in front of a sold out audience of 1,400 people at the Hawai‘i Theatre. The Cherry Blossom Festival is the longest, continually running festival in the State of Hawai‘i, which celebrates Japanese culture and heritage. Cherry Blossom Festival Queen Contestants are selected for their dedication to perpetuating Japanese culture, commitment to education and passion for community service. This year’s festival theme, “Sonkei,” which means respect in Japanese, was a guiding principle for the Cherry Blossom Festival. "We realize the importance of this festival and the opportunity it provides to our contestants, who, for six months, take cultural and personal development classes as well as participate in public events,” said Merrissa Uchimura, Cherry Blossom Festival general co-chair. “The success and perpetuation of this festival is a testament to the support from our generous sponsors, donors and volunteers. Without them, this festival would not exist." Marissa is a 2002 graduate of Punahou School. She also earned a Bachelor of Arts in television production and business administration in 2006 and a Juris Doctorate in 2009 from Loyola Marymount University. Marissa currently works as a judicial law clerk. The annual $5,000 Violet Niimi Scholarship – established in honor of the very first Cherry Blossom Festival Queen – is given to the contestant who demonstrates exemplary community service involvement. The Cherry Blossom Festival is sponsored by the Honolulu Japanese Junior Chamber of Commerce, Kyo-ya Company, LLC, Gyotaku Japanese Restaurant, Obun Hawai‘i Group, Japan Airlines, Shiseido Cosmetics (America) Ltd., Watabe Wedding Corporation, Fujiyasu Kimono Company, Pamela Futa Campbell, JTB Hawai‘i Inc., Marukai Wholesale Mart, Tori Richard, Kirin Brewery of America LLC, The Wedding Café, Gyotaku by Naoki and Images by Steven. For more information about the Cherry Blossom Festival, visit www.cbfhawaii.com or call 808-949-2255. The Cherry Blossom Festival holds the honor of being the longest, continually running ethnic festival in the State of Hawai‘i – originally started in 1953 by the founding fathers of the Honolulu Japanese Junior Chamber of Commerce. The Cherry Blossom Festival was created to celebrate Japanese culture and to enrich the lives of young Japanese-American women. The festival also has an international reach, partnering each year to host five special sister chapters from Japan: Kobe, Odawara, Kurashiki, Kojima and Tamashima. Over the past 58 years the Cherry Blossom Festival has touched the lives of many, especially the 972 women it has called contestants. The Honolulu Japanese Junior Chamber of Commerce (HJJCC) first convened in 1949 with the mission of developing young Japanese-Americans into civic-minded citizens. Currently, the HJJCC aims to foster young leaders through professional development, community service, and the perpetuation of Japanese culture. The HJJCC sponsors many community events – including the well-known Cherry Blossom Festival – as well as offers its members numerous opportunities to develop leadership, managerial and organizational skills through participation in community service projects. The HJJCC also fosters business networking and socializing which allows members to establish life-long friendships.